Have you forgotten your iPhone lock screen password and you want to reset it without any pass codes? 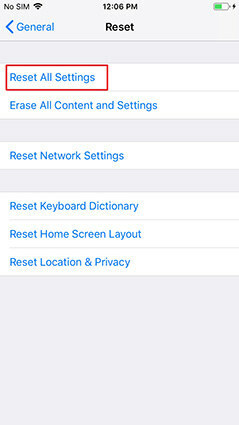 Or you want to reset the existing password of your iPhone easily? Most of the iPhone users don't know how to reset their existing or forgotten passwords without any hassle of passcodes and security questions. Sometimes the users not only forget their iPhone lock screen passwords but also the security questions to retrieve the old password. 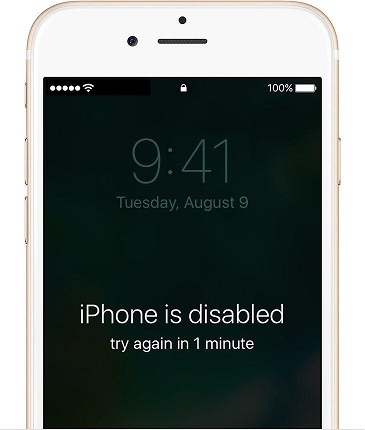 While sometimes the users can't access their iPhones knowing the lock screen password due to screen or button damage. In this article, I will be showing you how to reset iPhone password easily in both the cases. Whenever we set a password on our iPhone, we try to keep it a bit complicated so that nobody can easily hack it. But if you think you should change your password because may be somebody is trying to get into your iPhone, if you remember your old passcode, then here are a few easy steps on how to reset your iPhone passcode. Carefully follow the steps below and go on with the screenshots shown here for your guidance. 1. In your iPhone go to "Settings", then go to "Touch ID & Passcode". 2. Enter your old passcode that you remember, and then go to "Change Passcode". 3. Enter your new passcode for two times. When your new passcode is verified, your process of resetting your iPhone password when you remember it is complete. It is highly recommended for all the users to keep changing your passcode to keep their security maintained. In this part I will tell you how to reset iPhone password when you can't access your iPhone due to locked screen if you forgot your password. Tenorshare 4uKey is the best tool to unlock your screen and reset your iPhone password. 4uKey is designed to be super simple that works effectively in letting you remove the passcode from your iPhone and other iOS devices. Tenorshare 4uKey is an effortless method to unlock iPhone screen without iTunes restoring. No matter it is a 4-digit password, 6-digit password, custom numeric code, or alphanumeric password, Touch ID or Face ID info, Tenorshare 4uKey is able to bypass it in a few minutes. Step 1 Download and install 4uKey on your computer or Mac, connect device to computer, click "Start" to get started. Step 2 Click "Download" to download the latest firmware package. Step 3 When the downloading is complete, click "Start Unlock". The process of password removing can take a while. Wait for a few minutes until it's done. When iPhone password has been removed successfully, you can set up your iPhone as new, including passcode, Touch ID and Face ID settings. 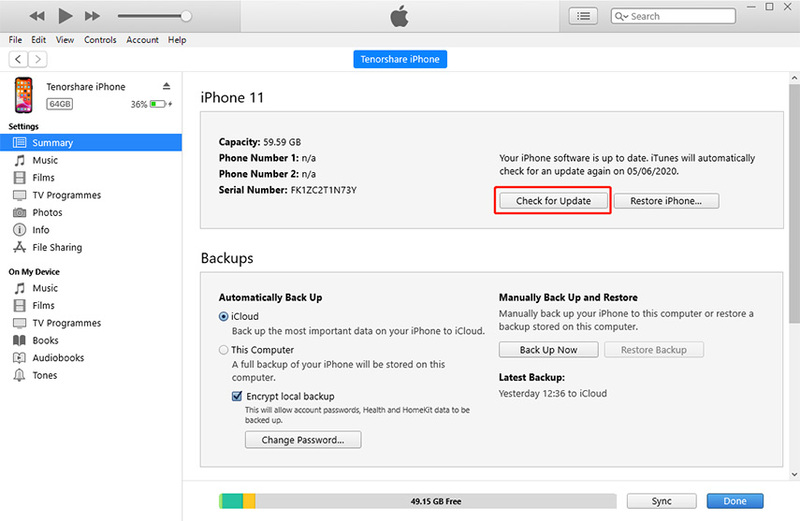 If you have a previous iTunes/iCloud backup, you can retrieve iPhone from backup. In Part 1 and Part 2, you have learnt how to reset iPhone password no matter you remember your passcode or not. 4uKey is a simple and efficient method to fix this kind of problem and you can definitely have a try. In addition, we also provide you some other methods which will be shown on the following video. In this video you will learn how to recover iPhone X/8/8 Plus/7 passcode without iTunes. In the above article, I have mentioned the simplest way how to reset iPhone password using Tenorshare 4uKey. It literally takes minutes to remove your iPhone passcodes to enter your device. You just need to remember using Tenorshare 4uKey if you are an iPhone user facing any of these problems. Worthy for a try!